Direct offspring of Cristi Cons’s friendship with Vlad Caia, SIT was formed and shaped more than a few years ago, long before they felt the need for an outpost to promote their masterpieces. That outpost has been known as Amphia, the label they started about 6 releases ago. The fact that they both release solo quite a bit doesn’t mean that SIT is less special. Actually it’s not, and both felt they can expand their creativity and audience by performing together in a live project. We feel very blessed to have them in our roster! Philipp Lauer is a producer, musician and DJ based in Frankfurt. He performs as Lauer and also as one part in Tuff City Kids with Gerd Janson. Raised on a strict diet of hip hop & punk rock, Philipp finally succumbed to the pleasures of electronic music in the late nineties when he started to produce deep house tracks. One of his most successful projects in the early 2000 years was Arto Mwambe with Christian Beißwenger (AKA CB Funk, TCB). 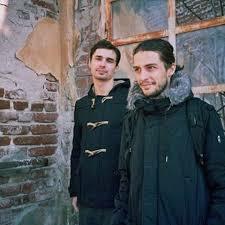 During that time Philipp founded his own label Brontosaurus and they played many live shows all around the globe. His debut solo album "Phillips" was released in spring 2012 on Running Back, followed by "Borndom" 2015 on Permanent Vacation. In 2013 he started to get serious with Gerd Janson: as Tuff City Kids they put out one release after the next and started to play shows together.